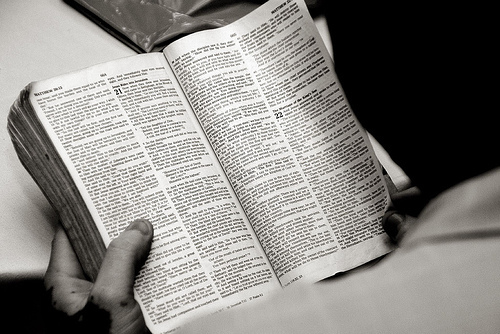 REFLECT: How does Peter describe the Word of God? RESPOND: Set a timer for 5 minutes. Write as many words as possible describing the Word of God. Then, use some of these terms in prayer as you thank God for allowing you to experience this power. "For we did not follow cleverly devised myths when we made known to you the power and coming of our Lord Jesus Christ." In these verses, it seems as if Peter is trying to convince the reader that the Gospel being taught has nothing to do with an interpretation or opinion of scripture. It is as if he is is saying," Look! This is not MY OPINON! I was there; I saw the glory and heard the words." The reader has to either have faith and believe or not. Nehemiah faced a similar situation. After struggling with the decision to go to the king, getting the supplies, and transporting them to Judah, convincing the people it was right to build, dealing with various obstacles to the completion of the wall, then dealing with the governance and leadership of the people he had to be at a point of saying something similar to that of Peter. "Look! God gave me this task. I am carrying out his will. Either believe me or don't. But, I WILL follow His word."